Greetings! I am a proud citizens of the town "Craftyscrappers" and our crafty town is being run by Mayor Konica Das & Deputy Mayor Jesse Zedek. I created this card using the "Scattered Roses" background stamp. 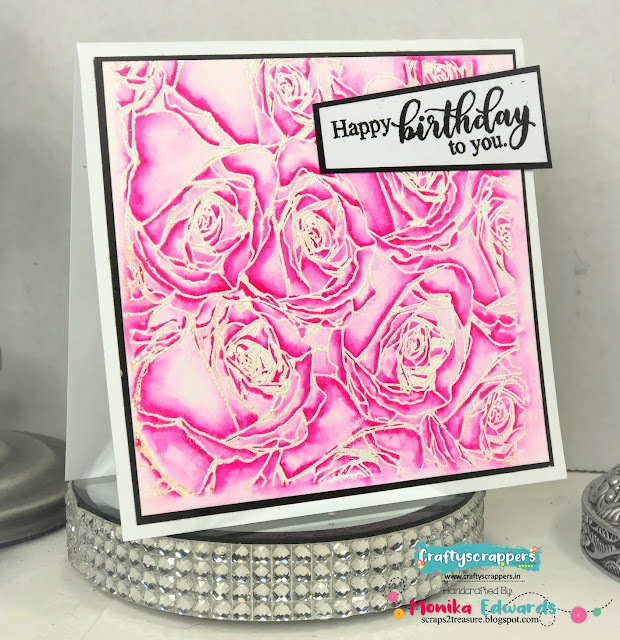 I stamped the image onto watercolor paper using embossing ink and white embossing powder. Next I colored it wit zig clean color pen pink. For the sentiment I used a stamp from "You are Dinomite" stamp set by simply covering the portion that said "Yabba-Dabba-Doo" lol worked perfectly right?!! 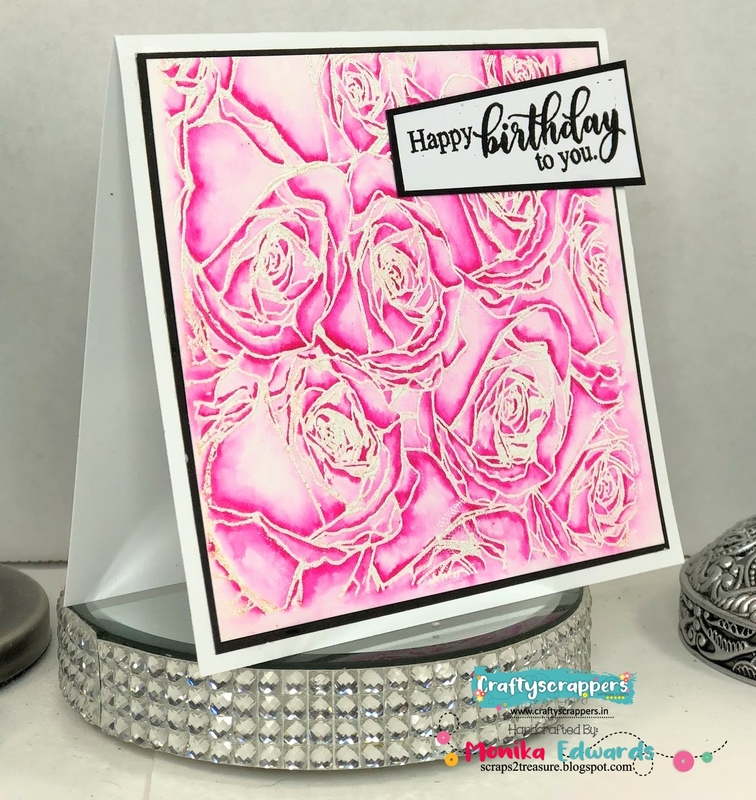 You are here : Simply Monica and your next Craftyscrapper stop is : MONICA DERECKA and if for some reason you get lost along the way the complete lineup is listed below: Don't forget to leave comments at each stop to be eligible for the prize! 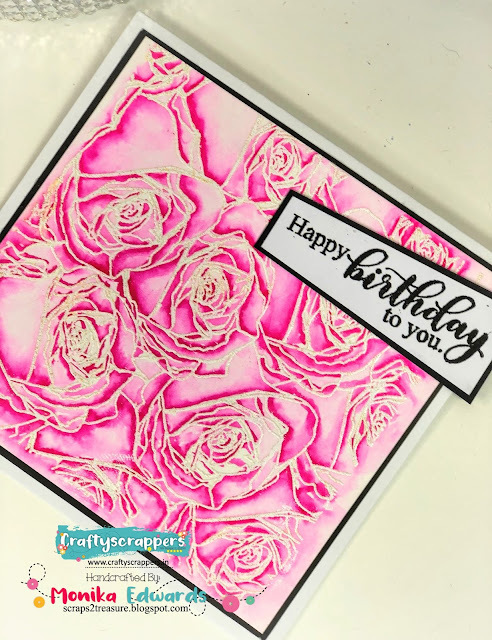 Love the embossing, great coloring, this technique works perfectly for this background stamp. Lovely card. Wonderful floral card. The colour is bright. So pretty in pink, beautiful coloring!